A bill introduced last week in the U.S. House of Representatives seeks to tighten Medicaid eligibility for Long Term Care by allowing states to decrease the amount of home equity exemption to as low as $50,000. H.R. 1702, or the “Medicaid Program Integrity Act of 2013”, also includes an attempt to eliminate the Maintenance of Effort rules. The Maintenance of Effort rules, which were established in the Affordable Care Act, have been preventing states from closing loopholes that allow Medicaid fraud in long term care services. Both provisions of the bill are intended to reduce Medicaid fraud and financially protect the program so it can sustainably provide services to those it was intended to assist and protect. H.R. 1702 was co-sponsored by four Republican representatives. The sponsors of the bill include Phil Gingrey of Georgia, Charles Boustany of Louisiana, Marsha Blackburn of Tennessee, and Patrick Tiberi of Ohio. The bill was introduced on Friday, April 24th and referred to the Committee on Energy and Commerce. The sponsors of the bill hope it will “encourage personal responsibility” and “give middle-class Americans great choice” in terms of their Long Term Care Insurance coverage. Because Medicaid is only meant to provide services to those with little or no income, it is not something that most Americans should rely on for Long Term Care. Medicaid spending has grown at an annual rate of 6.5% since 1995. Although it has begun to slow down, the Congressional Budget Office estimates Medicaid spending will double from $265 billion annually to $536 billion annually by 2022. More than 70% of Americans ages 65 and up will need Long Term Care services at some point in their lives, but only 10% have Long Term Care insurance. This is a clear disparity that needs to be addressed before Medicaid runs dry and we are faced with some tough choices. Read the full text of the H.R. 1702 here. Have questions about Long Term Care Insurance or want to know your options? Read more here. 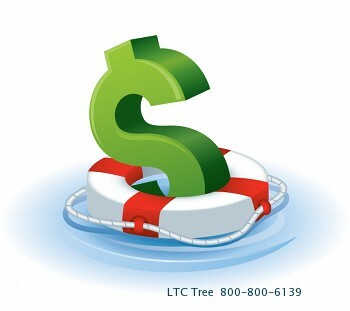 Need a quote for Long Term Care Insurance? Call us at 1-800-800-6139 or fill out our online form.